TAMPA, Fla. - March 17, 2017 - PRLog -- Down & Out Books, publisher of literary and award-winning crime fiction, is teaming up with author and critic Rick Ollerman to edit and produce an all new quarterly magazine showcasing the best of the short crime fiction market. Debuting in June 2017, Down & Out: The Magazine will include something for all fans of the genre. "I am thrilled to be working with Rick on this new venture," said Eric Campbell, publisher of Down & Out Books. "Short fiction has always been a particular favorite of mine. I'm looking forward to publishing the magazine and delivering a diverse selection of high quality stories to readers everywhere." Each issue will include a featured tale from one of today's bestselling authors, leading off with a story by Award-winning Reed Farrel Coleman, who is opening the premiere issue with a brand new entry starring his much loved and missed detective, Moe Prager. Additional stories in the first issue will be by authors contributing never been seen stories featuring their own series' characters. There will also be a non-fiction column from a veteran journalist and a story tracing the evolution of crime fiction from the Golden Age through to the present. Rick Ollerman said, "Each issue will entertain readers with some of the finest crime fiction being written today…along with a look back to the past. What happened to the pulps and the crime stories after Dashiell Hammett and Raymond Chandler moved on to novels and Hollywood? They continued with authors we often overlook today, and examples of their work will be included in every issue." Down & Out: The Magazine will be available in both print and digital formats and will be offered as a subscription or on a per-issue basis. Information about submitting stories may be found on DownAndOutMagazine.com. 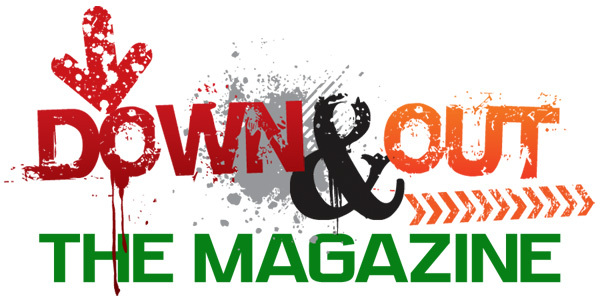 Questions about the publication or its content may be directed to rick@downandoutmagazine.com. About the Publisher: Founded in 2011, Down & Out Books (DownAndOutBooks.com) is an independent publisher of literary and crime fiction based in Tampa, Florida. For more information about the company, or to request an interview with the principals, contact lance@downandoutbooks.com. About the Editor: Rick Ollerman is the author of four novels, Turnabout, Shallow Secrets, Truth Always Kills and Mad Dog Barked. A collection of his essays is scheduled for release in 2017, as are two anthologies he has edited. He's also working on finishing up a collection of letters between John D. MacDonald and his wife written during World War II. His website is Ollerman.com.